Provide twenty four hour on call responsibility for routine and emergency management of your condominium association's affairs. This is pursuant to the master deed, rules and regulations, bylaws, a written agreement, the board of directors' instructions and applicable government ordinances. a) Implement daily operation of the building, its facilities by arrangement with qualified contractors. Janitorial services, if requested. To be paid by the association. Maintenance as needed, subject to contract limitations. b) Evaluate and recommend on the maintenance/repair needs of the property. If wanted, discrepancy report made up for disposition by board. Obtain qualified contractors for jobs, bid out work, check references, and prepare paperwork. Obtain architects and/or engineers for large capital projects, if needed. We work with owners, visitors, renters in order to maintain a friendly atmosphere. Issue violation notices to offenders and work with police department as may be necessary. Implement rules and regulations. Administer the state required procedures. Work with police, fire departments to make building safe and secure. Post emergency sign visible for us to be contacted. Work with security guard contractor if one is hired by the association. Your premises will be inspected at least once a week, year round. Take appropriate action when something is in need of attention. Take appropriate action due to broken water pipes, fires, bad weather losses, police, etc. Work with insurance company to resolve insurance losses. Maintained by us exclusively for emergencies. Owners must sign an authorization form and pay a fee if desiring personal key service. a) Our office set up for your association’s needs. Maintain records and files. On “pdf” format with backup copies. Fax, email, internet, website, etc. Bid out master insurance coverage’s. Maintain policies in our files. Work with insurance adjusters, building insurance inspectors. File insurance claims and expedite settlements. If pertinent, provide a management report reviewing pertinent subjects for disposition. Attend, participate and implement decisions. Assist board of directors in arranging for meetings, prepare notices and proxies. Prepare accounting statements consisting of balance sheet, income/expense statement, comparison to budget for period and year to date, cash disbursement journal using an accrual or cash basis system of accounting. Company principal has background in business administration, and is holds a CMCA, AMS & PCAM designation with the Community Association Institute. Arrangements made for direct lock box mail/deposit to your bank account set up by us. Funds do not get commingled. 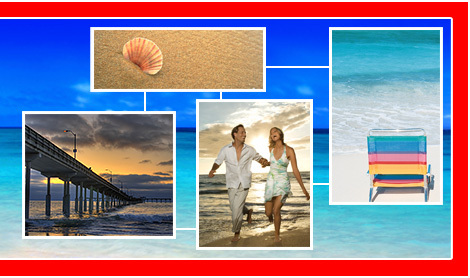 Prepare and mail payment coupons, furnish instructions and self-addressed envelopes. Separate file set up for each owner, with appropriate back up. O.C. 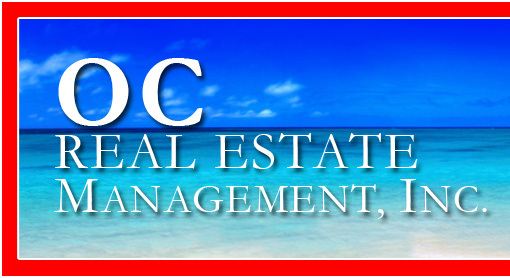 Real Estate Management, Inc. has fidelity bonding for $250,000. Separate reserve accounts coordinated under board's direction if desired. Purchase orders issued to vendors for supplies and contracted work. Invoices coded to chart of accounts, which ties in with accounting statement for explanation. Disbursements made in accordance with generally accepted accounting procedures. Assist in preparation of draft budget.